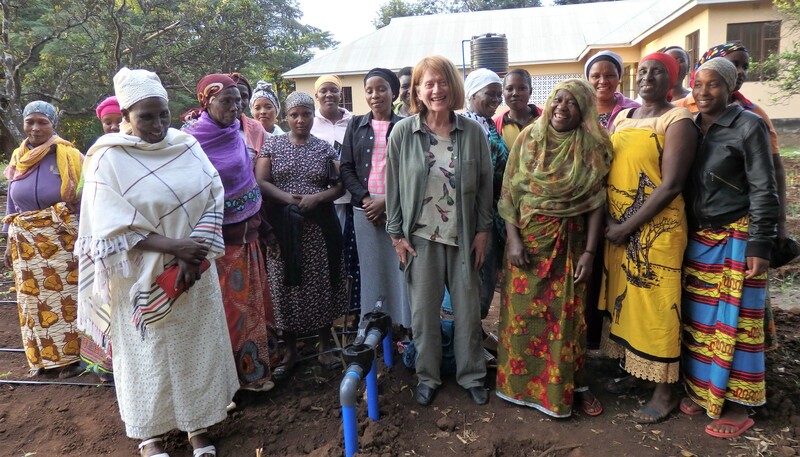 Tricia Barnett recently visited Tanzania and met with the women participating in this groundbreaking project. Here, she shares her impressions and a general update on where things are. I am delighted to share with you the latest news from the path-breaking project that would not have been possible without the support of our generous donors. It’s now been a year since it started and I have just returned from our first evaluation. So much has happened for the women selected to pilot this novel approach to nurturing local economic linkages. Thirty poor farming women in a village situated in a popular tourism region were supported to transform their lives by selling their produce through a self-built and -run cooperative directly to hotels. I was anxious to see how the women would manage their daily responsibilities while also participating in the intensive training we had lined up for them. But I should have known better – they have seized the opportunity. Training has been demanding – both in terms of the time investment needed and the content. The initial Farming as a Business training, run by local consultants for the UN Conference on Trade & Development (UNCTAD), was quite intense, as was the introduction to new farming methods. 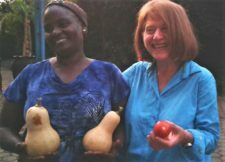 These workshops have been followed up by regular sessions at the project’s demonstration farm in the village of Mailisita. Sessions run by our partner organisation KWIECO (Kilimanjaro Women Information Exchange and Community Organization) on women’s empowerment and women’s legal rights (for both men and women), as well as meetings to develop a cooperative and establish a savings scheme, take place in the early evenings. How they manage to do all this is extraordinary, as they have so very many time-consuming responsibilities: caring for their families, farming their own land, sharing the work on the demo farm, selling in the market located miles away, and sometimes even a second job as labourers or cooks. A lot has changed for them since the launch of the project. All the women I spoke to told of how their farming methods have changed dramatically, and how the modern techniques they’ve learned mean higher quality and more reliable yields. Every seed is hand planted in seed trays and the seedlings matured in seed beds before being transplanted. Drip irrigation means more consistent irrigation with minimal wastage, another crucial improvement on the traditional ways. 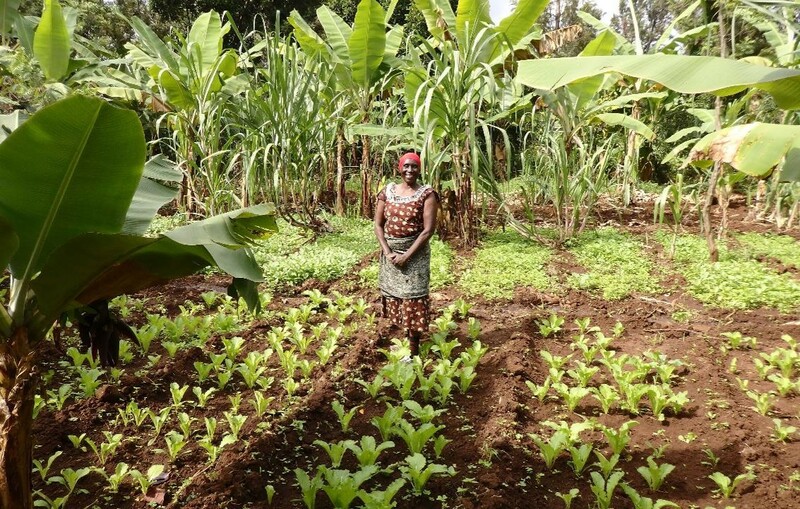 The women’s self-confidence has also been transformed, with other farmers in the community actively seeking out their advice. The cooperative is about to be registered as the Kilimanjaro Women’s Horticultural Farmers’ Cooperative. 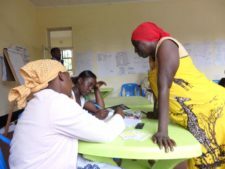 The women meet weekly to contribute to their joint savings and coordinate lending. The registration is a complex and demanding process, but district registration organisers are enthusiastic about the project. Crowdfunding funds contributed by donors have allowed the women to purchase furniture for their meetings, a big deal because before, chairs had to be rented and tables were brought in balanced on the heads of the women. As you can imagine, there remains plenty to do. We haven’t yet been able to start the children’s nursery because it requires six months’ rent and costs in advance so that the unfinished premises can be completed. In the meantime, the KWIECO team, has identified the need to work more closely with the men to tackle the serious issues of alcoholism and domestic violence – we know the women are in good hands as KWIECO has extensive experience in this field. And while the initial success stories are heartening, and the farming really is coming along in leaps and bounds, the fact is that until the co-op registration is complete, we won’t be able to fully roll out the collaboration with local hotels. But with over 30 businesses registering their interest in working with the project, we’re optimistic it will be yet another success once supply starts. We actually have grand plans to digitize the supply and demand part of this initiative – our sights are set on a bespoke app which will enable hotels to order from and pay directly to the co-op. More to come on this and other exciting news we’re hopeful to share with you soon!